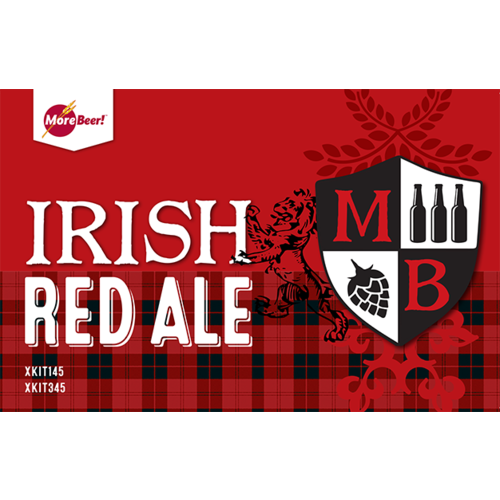 Our Irish Red Ale recipe is categorized as a big Amber Ale, but is so unique, it does not really fit within any category. 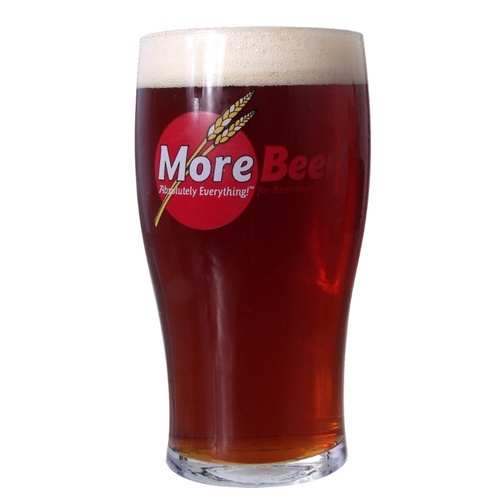 Contains Aromatic malt to provide malty flavor and aroma. Features dark Crystal malts, including Special B, and a pinch of Roasted Barley for a deep red color and very distinctive caramel flavor. One of our most popular ingredient kits. My husband likes Irish red. Getting ready for St Patties day! BEST ANSWER: As far as I know, there isn't any yeast included. I have brewed this ingredient kit with the White Labs Irish Ale yeast and the Wyeast IIrish Ale yeast. Both produced good results. Their kits don’t come with yeast, you have to order it separate They recommend white labs Irish ale yeast. No. It has a suggested yeast, but allows you to get something else if preferred. Brewed this last week in my Grainfather and everything looks great. All gravities came in spot on. Looking forward to a pint or two on St. Patty's Day! Great color, flavor and mouthfeel. Love making red ales and this was no exception. Delicious! I got the efficiency for the mash that the instructions said ai should get. Final sg was right on target. My only gripe is the lack of “maltiness” in the final product. To me Irish reds need a good malt taste. If I get this again will add 2-3 pounds of base malt to the recipe. I'm not a huge fan of red ales but this is nice. Just enough of the darker malts to make it interesting. Took about three months to age properly, probably because I sparged and added some finishing sugar which increased fermentation time. Final ABV was about 6.5 percent and everybody really likes the beer. Worth the extra wait! My all-grain batch is almost porter looking. Very malty, low bitterness, dark. This kit is amazing! I hit all my numbers dead on except for the final volume came in just under 5 gallons. The malty flavor paired to the light hoppiness makes for an awesome beer. My friends and family loves it and it will definitely be on my rotation from now on! I brewed this for a friend and fell in love. Great flavor! I'm on batch 20 and this will be in my rotation from now on. I made had a handful of 'issues' while brewing this yet the beer still came out great. I fermented with Safale 05. Initial ferment temp was 74 (by mistake) but dropped it down to 68 for the remainder. I bottled using CO2 levels of 2.6. If bottling I strongly recommend a good 2-4 weeks before you crack the first beer. I couldn't wait and opened on at 7 days. Way better now that I have waited. Brewed this for a friend and fell in love. It has great flavor. I'm on my 20th batch and this is one of my favorites to go back and brew. Reds are my favorite so I have made this beer from extract and from all grain, this was also my first ever all grain batch. All grain takes the cake by a mile. The color is better in all grain, the extract version came out very dark and tasted sweeter, the taste is much more distinct and developed in the all grain recipe as well. I only fermented this one once and did not feel it is necessary to dry hop at all. This was my friends and families favorite one I have brewed thus far and they want me to make it again ASAP! I highly reccomend making this one its worth the time! This beer is phenomenal! It's very malty and has a slight nuttiness to it. I brought a keg of this up to the mountains over New Year's Eve a few years ago and everyone loved it. Used the WL Irish ale yeast. The beer had great flavor and body. It is one of the best beers I have made. One of More Beers Favorites...I can see why! I have brewed several "Irish Ales" and all I can say is this one tops them all......by far! True Irish flavor, eye pleasing color, good mouth feel and a great balance. This one will remain a staple for my offerings... And that?s no blarney!